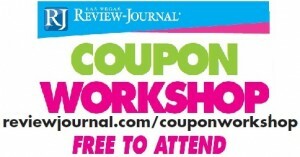 Come out to the free Vegas extreme coupon class on Jan 26. Learn to lower your grocery by 50% using some super simple couponing techniques. In 90 minutes you will know all the in’s and out’s of how I saved thousands on my shopping trip on TLC’s Extreme Couponing! Bring a friend and we will see you there! It is in my heart to share how to Live Almost Free! I have been couponing for over 25 years and I will share with you the secrets to successful savings.